Just stir everything together and serve over ice. Quick, easy, and super delicious. 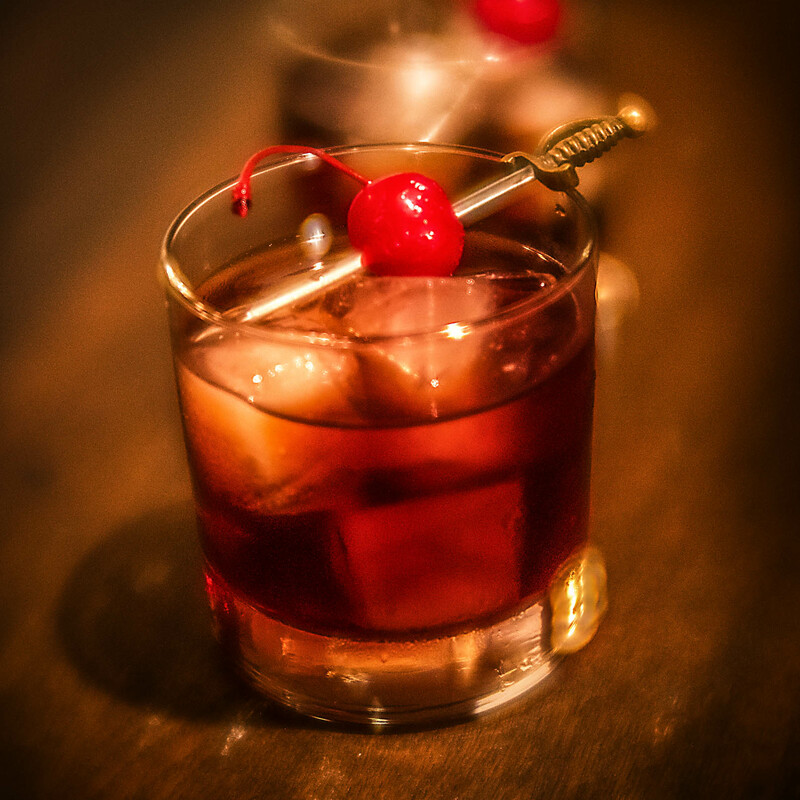 Feel free to garnish with a sword-skewered cherry, like we did, in honor of Michonne. Cheers! My lovely bride has published another book with her brother, the third installment in the José Picada series entitled Act of Abduction. During my private reading (yes, I am privileged), I learned that this book has a pivotal scene featuring the José Picada Margarita. Heather asked if I could come up with a recipe that would be appropriate for Chef Al. I did my best. 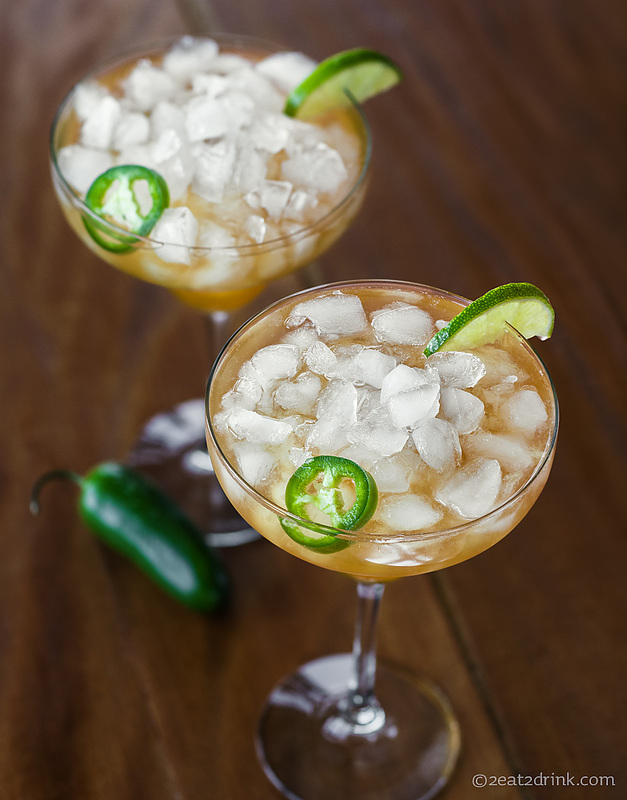 I hope you enjoy the José Picada Margarita as much as I know you’ll enjoy the book. Salud! Shake and pour over crushed ice. Garnish with jalapeño and lime. You can find the José Picada, P.I. series on MuseItUp Publishing, Amazon, Barnes & Noble, and Kobo. This week marks the anniversary of our first date! Last year, we commemorated the occasion with a quick getaway to Mirbeau Inn and Spa in Skaneateles. 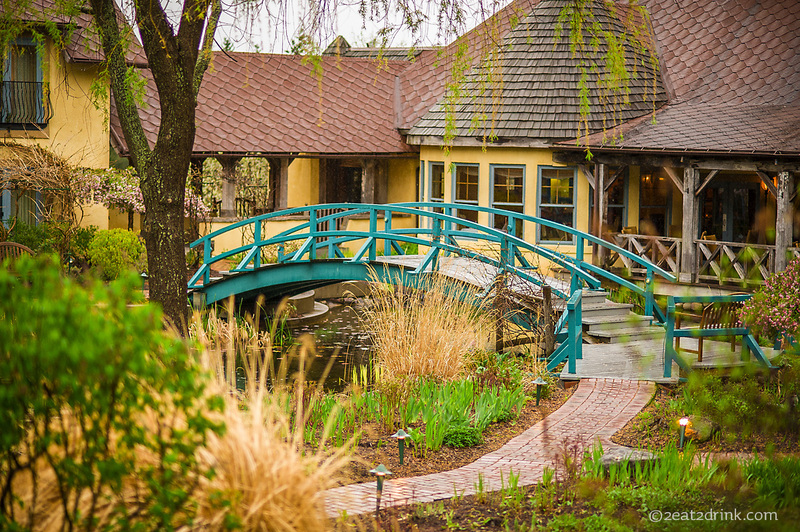 With the French countryside and the works of Monet as its inspiration, Mirbeau provides gorgeous accommodations and excellent cuisine in a soothing, romantic environment. When making a reservation, be sure to mention whether you would like to stay in a cottage, allowing you to stroll through the lovely gardens on your way to the main building, or in the main building itself. We prefer the cottages, but have stayed in the main building during the winter to avoid walking outside for the spa and dining options. The lovely grounds of Mirbeau. As we entered our cottage, classical music was playing softly. We felt any lingering tension start to slip away as we took in the French country décor, complete with a fireplace. The bathroom was like a gorgeous mini-spa with its oversized soaking tub, large walk-in shower, and Mirbeau’s “Essentials” body and hair products. A complimentary bottle of bubbly! The wonderful staff at Mirbeau even gave us a card commemorating our special day. After settling in, we took a short walk to Spa Mirbeau. Rather than booking a spa treatment, we opted to simply change into our swimsuits, wrap ourselves in thick, soft white robes, and visit the Aqua Terrace. This remarkable outdoor space boasts a large, naturally-shaped Jacuzzi (complete with waterfall and landscaping), a huge stone fireplace, and a small bar. We ordered a lunch of finger sandwiches and wine from the barman, then perched beside the fire to eat. It was a fabulous meal with which to begin our twenty-four hours of indulgence! The sandwiches were delectable, the wine delicious. We lingered by the fire a bit more, then spent a lovely afternoon relaxing in the water. Aqua Terrace bar – with a cute sign! It was then time to get ready for dinner. Formal attire isn’t required, but I just love any excuse to dress for dinner! We freshened up, changed, and strolled to the Wine Bar. Although we love the Dining Room at Mirbeau, we’d never dined at the Wine Bar, and thought this was an excellent opportunity to do so. The cozy space has its own large fireplace and comfortable seating. You can use the automatic wine machines to sample a variety of vinos, or simply order off the menu. We tried a couple of wines and several small-plate-style appetizers. Everything was delicious, and the atmosphere was enhanced by chatting with our fellow diners at the Wine Bar – Sean and Dee from Buffalo, locals Peggy and Jimmy, and Bill the car guy. Add in the excellent bartenders, Ed and Tim, and it was a lively, fun evening! Strolling to dinner in the rain. The comfortable bed provided for a very good night’s sleep, which was followed by the complimentary European Continental Breakfast. This was so much more than the typical freebie breakfast, both in variety and quality. We particularly loved the almond pastries, so much so that our server obligingly wrapped some up for us for the ride home! Not your average continental breakfast. Our table had a lovely view. 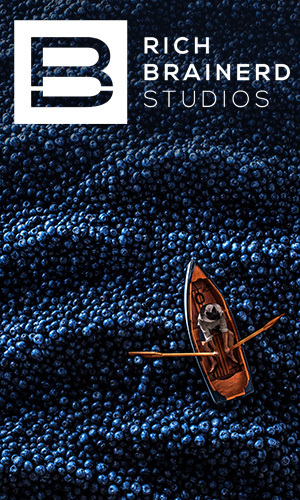 We made the short drive into the charming town of Skaneateles, walking through its downtown area and checking out shops and galleries. 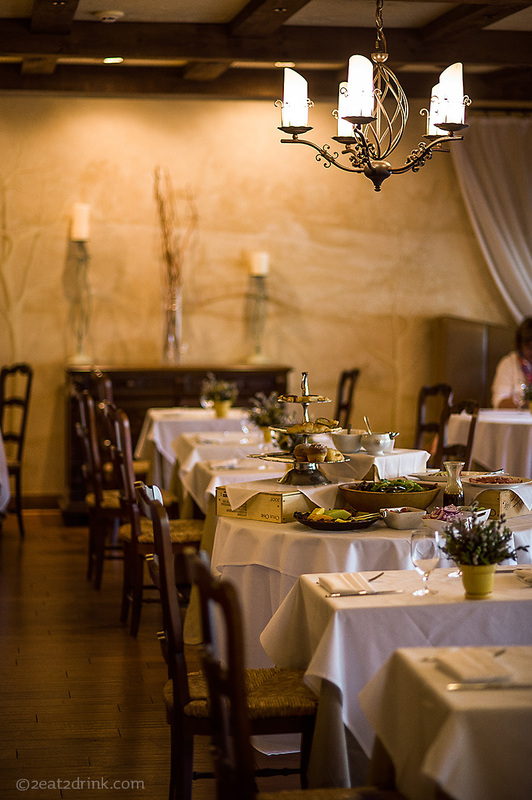 Our original thought was to have lunch in town, but we just couldn’t resist one last meal at Mirbeau. So off we went, back to the Dining Room, for a famous Mirbeau Hamburger. 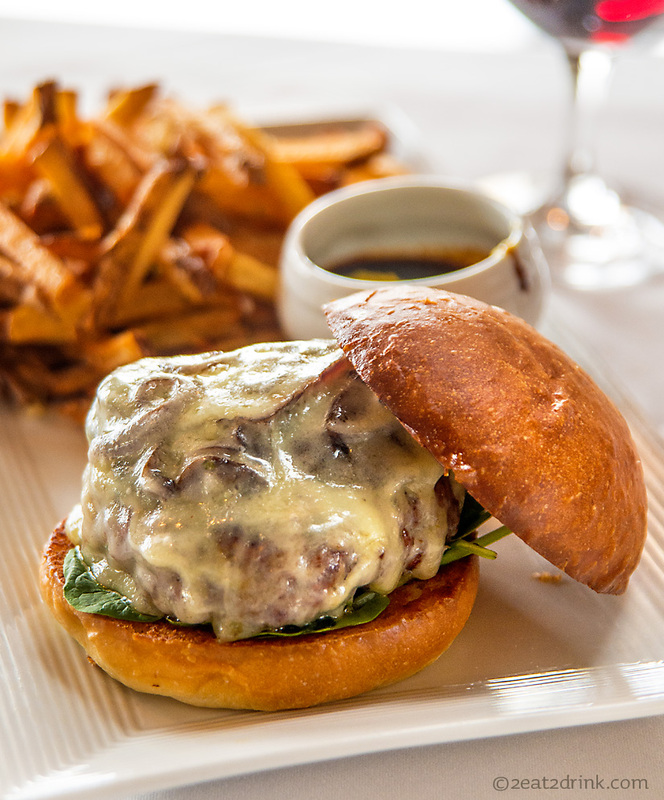 This decadent burger is served on a brioche roll with Portobello mushrooms, balsamic red onions, gruyere and spinach, with bistro fries, béarnaise sauce, and bordelaise sauce on the side. It is well deserving of its accolades. We’d put it off as long as we could; it was time to leave our little sanctuary. With one last longing look at the lovely garden, we tore ourselves away and headed back to reality! Hi, my name is Heather and I’m a Disney addict. It’s been eight months since my last trip to the World. I was going through some serious withdrawal recently, so Rich helped me out by making us hot dogs in the style of Casey’s Corner, our favorite Magic Kingdom eatery and first-meal-at-Disney tradition. In addition to the typical dogs and fries, Casey’s Corner offers a few specialty hot dogs. 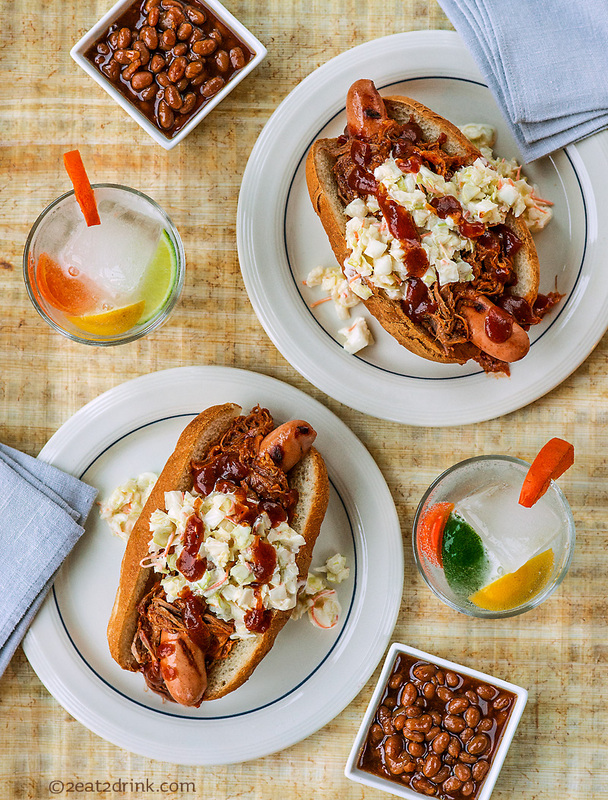 Our favorite is the Barbecue Slaw Dog, which is topped with pulled pork, cole slaw, and barbecue sauce. Casey serves it with fries and a soft drink, but we classed it up a little and had them with brown sugar/bourbon baked beans and gin & tonics. Yeah, that hit the spot. Hartmann’s wieners topped with Wegmans pulled pork and cole slaw. Served with a side of Bush’s bourbon and brown sugar grillin’ beans for the happiest meal on earth! Here are a few pictures from our last Disney World fix. Enjoy! Or do dinosaurs prefer beer? Tower of Terror with the doors open; everyone else screams, Rich takes a picture. Epcot and the blazing sun! The refurbished and expanded Dumbo! The five of us in Animal Kingdom after our Expedition to Everest. The drop on Splash Mountain! After the drop on Splash Mountain! La Cantina, Mexico Pavilion, Epcot. A lunch spot our whole family can agree on. La Cantina’s cheese empanadas… my favorite. La Cantina, Mexico Pavilion, Epcot. What you get for $70.02. Disney during the “value season” – a dream come true! January 2nd through mid-February is Value Season at Walt Disney World. We’d never pulled the boys out of school for a vacation, but with junior high looming ahead of us soon, this past winter seemed like our last chance to take advantage of the value season. In addition to the rock-bottom room rates, we were able to find amazingly cheap airfare AND a special offer for a free Disney Dining Plan, making this vacation offer too good to refuse. So, the boys and I dragged Rich away from his computer (yes, he was retouching right up until the last second!) and headed for the airport just ahead of a snow storm. What perfect timing! Waffles a la Chef Mickey, Contemporary Resort. Some of the dining highlights of this trip were: hot dogs at Casey’s Corner in the Magic Kingdom (our first-night-at-Disney-World tradition! 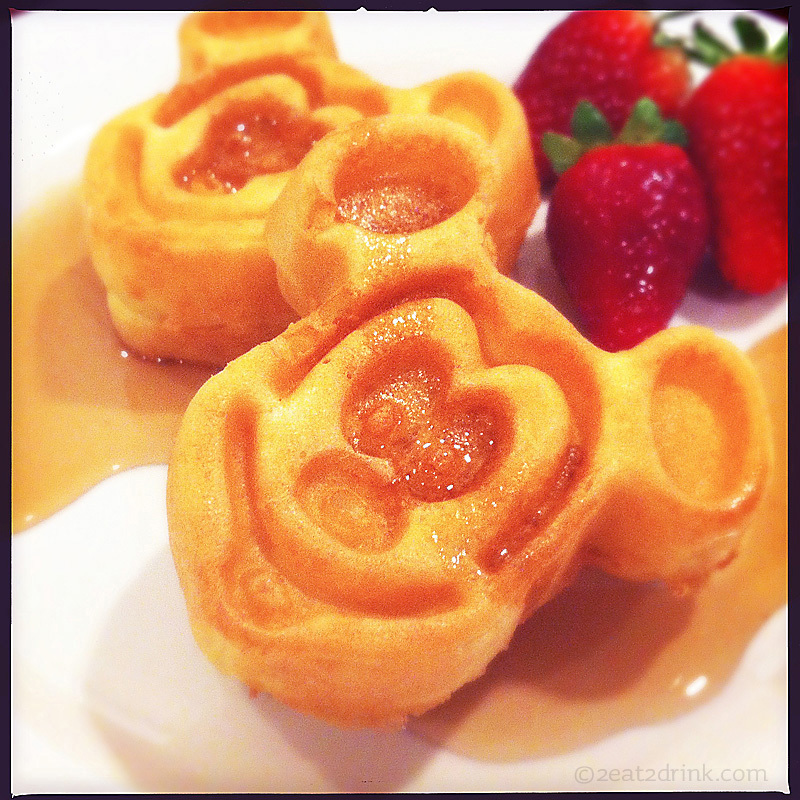 ), brunch at Chef Mickey’s (who can resist Mickey-shaped waffles? 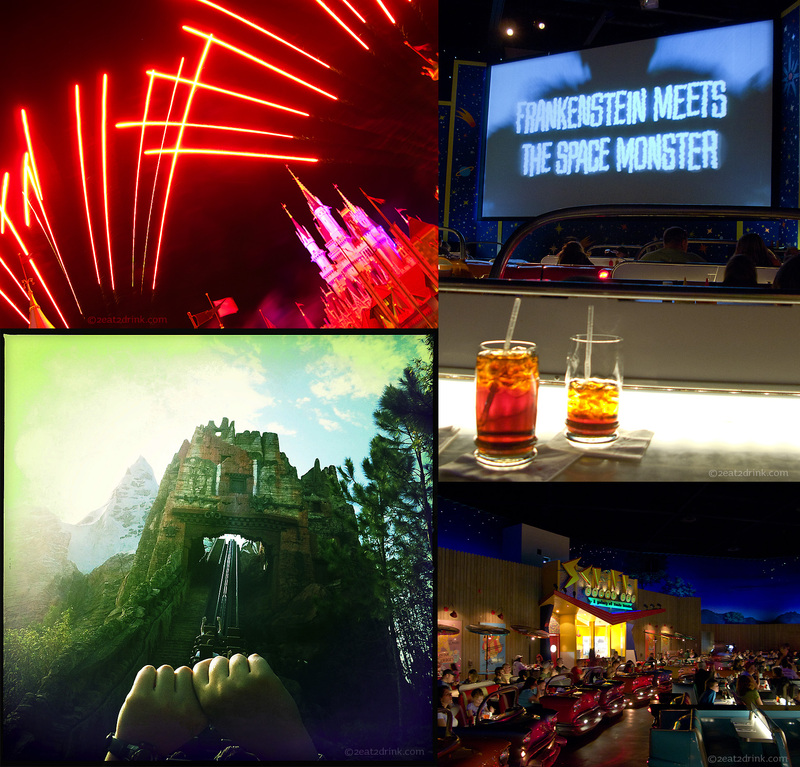 ), lunch at Hollywood Studios’ Sci-Fi Dine-In Theater (great food and cool ambience), and pizza & pasta at Via Napoli (located in Epcot’s Italy Pavilion). Pasta & pizza (and dessert!) at Via Napoli, Italy Pavilion, Epcot. Some highlights from Epcot: Rich’s view on Test Track, hanging with Chip at the Land Pavilion, our son’s picture of Chinese lily pads, me & my crew, Spaceship Earth. What did we learn by visiting Disney in January? We learned that the Value Season rocks! I know that winter weather in Orlando can be a little unpredictable, but ours was perfect. It was sunny with temps in the 70s during the day, the evenings cooling down just enough to make us perfectly comfortable in light jackets. Crowds were better than during our summer trips to Disney World, allowing for much more interaction with the Disney characters and shorter wait times for rides and shows. 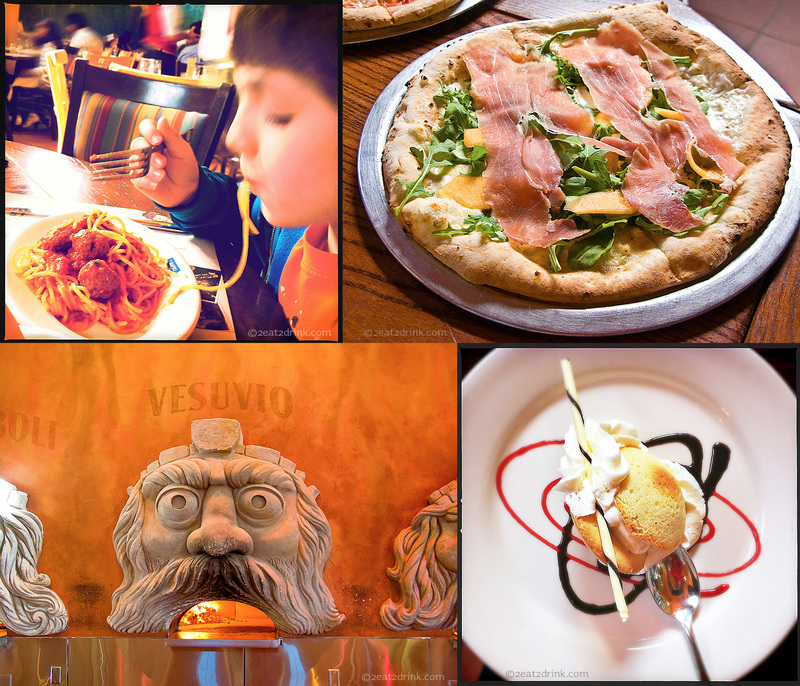 Because we snagged the free Dining Plan, we were able to eat at a few places that are normally beyond our budget, such as Chef Mickey’s and Via Napoli (and we loved them both!) We also learned that the best place to watch the Wishes fireworks show (in the Magic Kingdom) is behind Cinderella Castle, just in front of Mickey’s PhilharMagic. Wishes Nighttime Spectacular at the Magic Kingdom, lunch at Hollywood Studios’ Sci-Fi Dine-In Theater, Expedition Everest at Animal Kingdom. Visit the Walt Disney World site to plan your vacation or to peruse their current special offers. 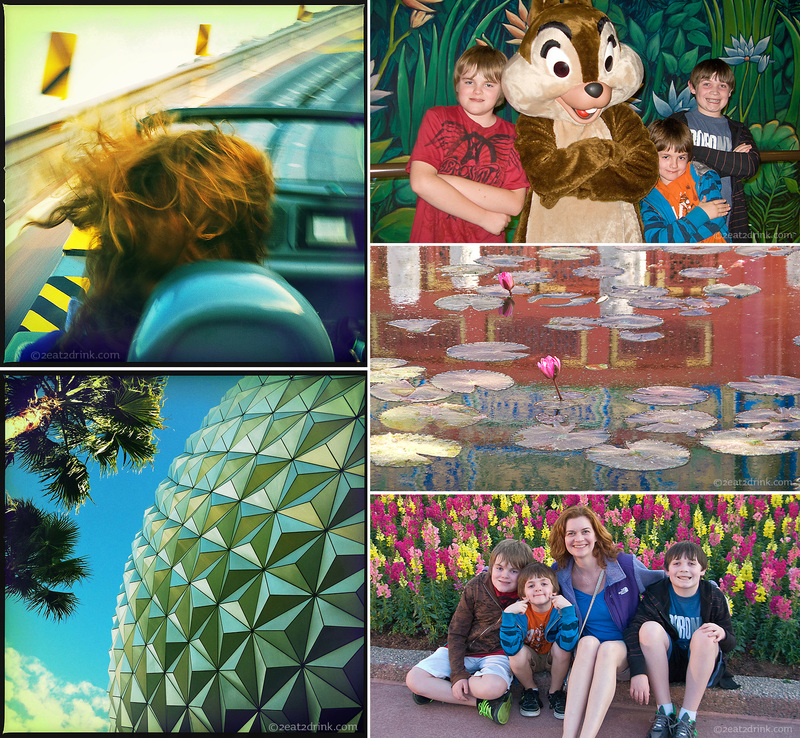 If you’ve ever considered Disney World in the off season, but you’re just not sure – go for it! You’ll be oh so glad you did! 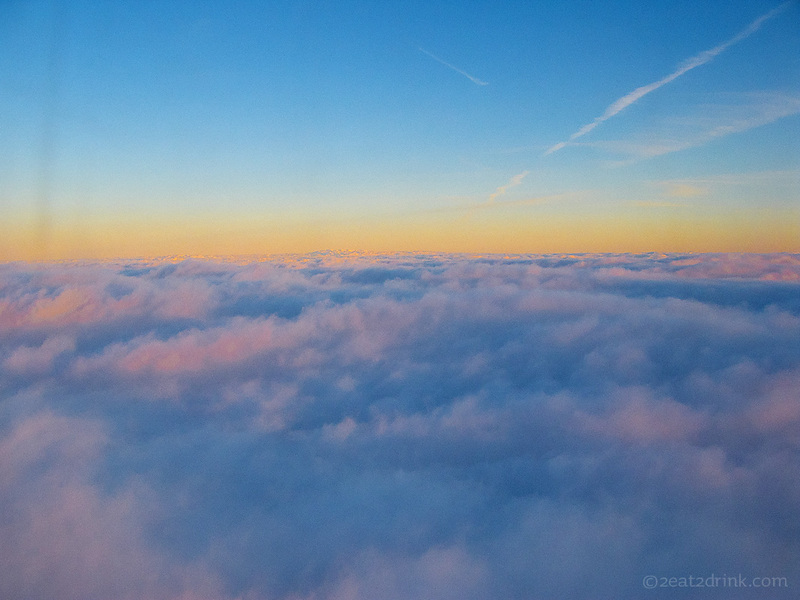 Our view on the way home. Can’t wait till next time! Get the fever for the perfect combination of spicy and sweet! Every new drink begins with an inspiration. In this case, the wicked cool bottle of Fever-Tree Bitter Lemon premium tonic water inspired us. Made with spring water, cane sugar, lemon juice, and natural quinine, the beverage itself is as cool and fresh as its packaging. 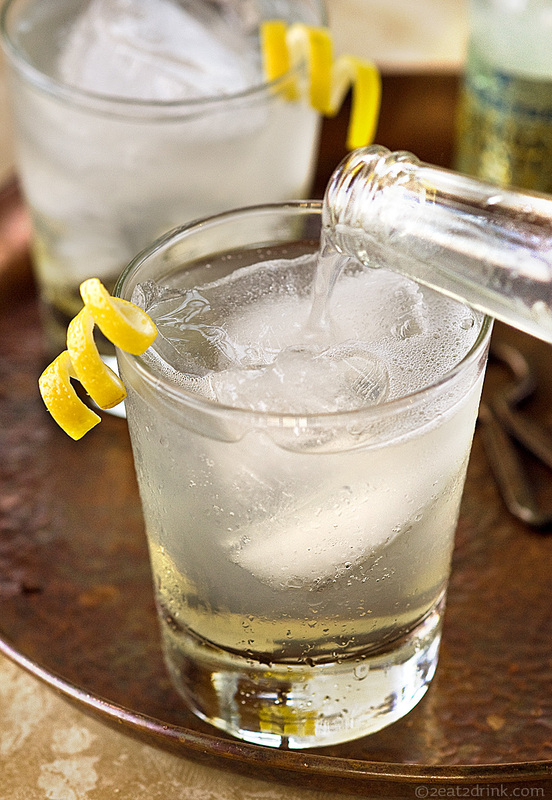 It was a natural mixer for our favorite, the classic gin and tonic. However, we decided to kick it up a little. Hence the creation of the Ginger G&T. Over ice, mix 3 oz. 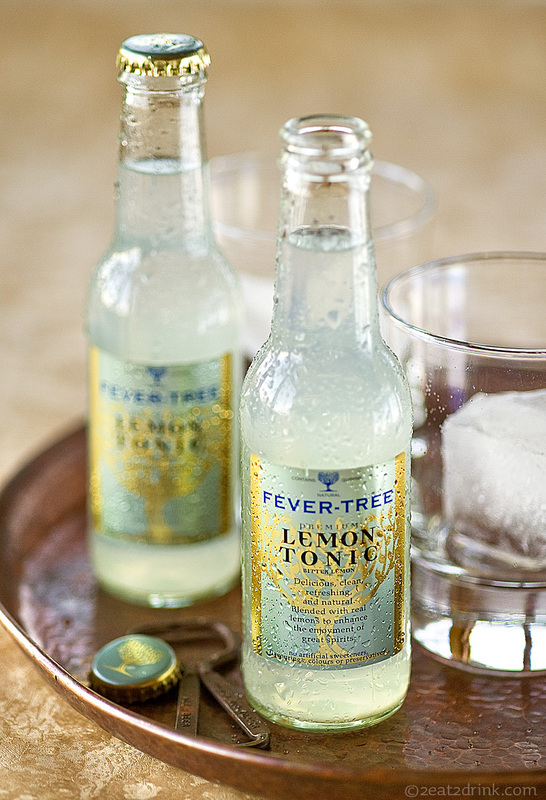 Fever-Tree Bitter Lemon tonic, 2 oz. Domaine de Canton ginger liqueur, and 1 oz. Bluecoat American dry gin. Stir and enjoy. It’s kind of like drinking a sweet tart, but with a gingery kick. Cheers!